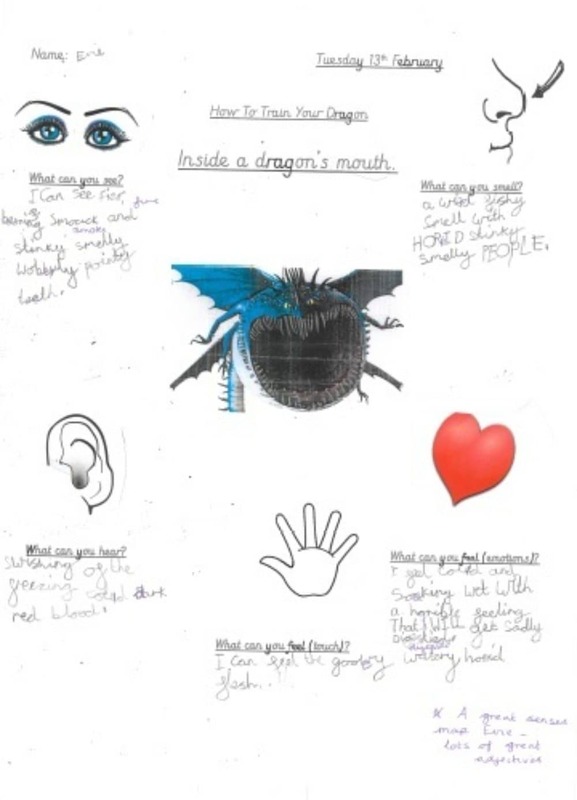 In English, Year 3 have really enjoyed our class book ‘How to Train Your Dragon’ by Cressida Cowell. 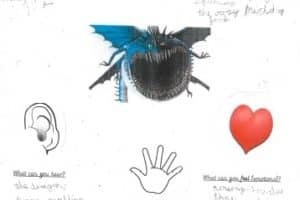 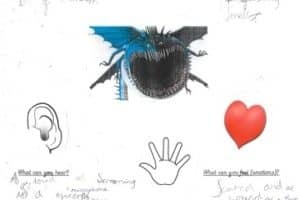 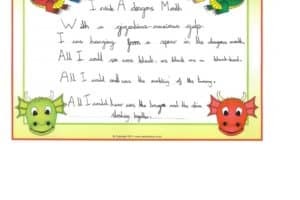 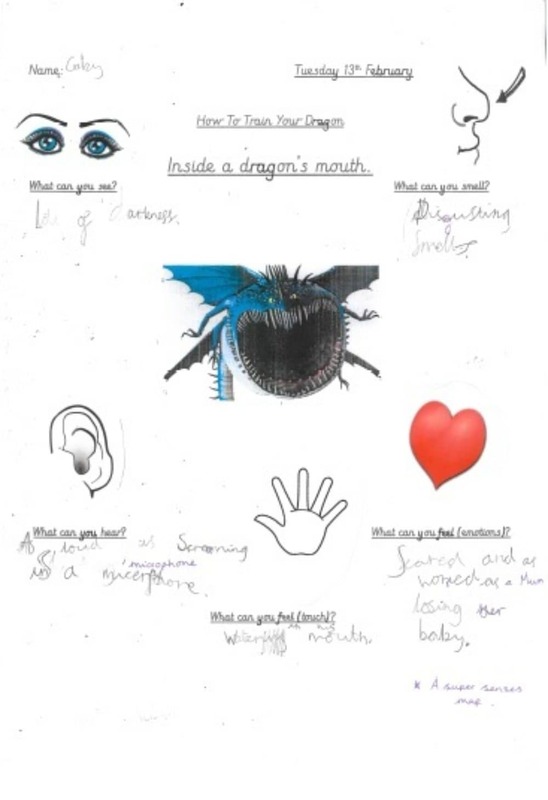 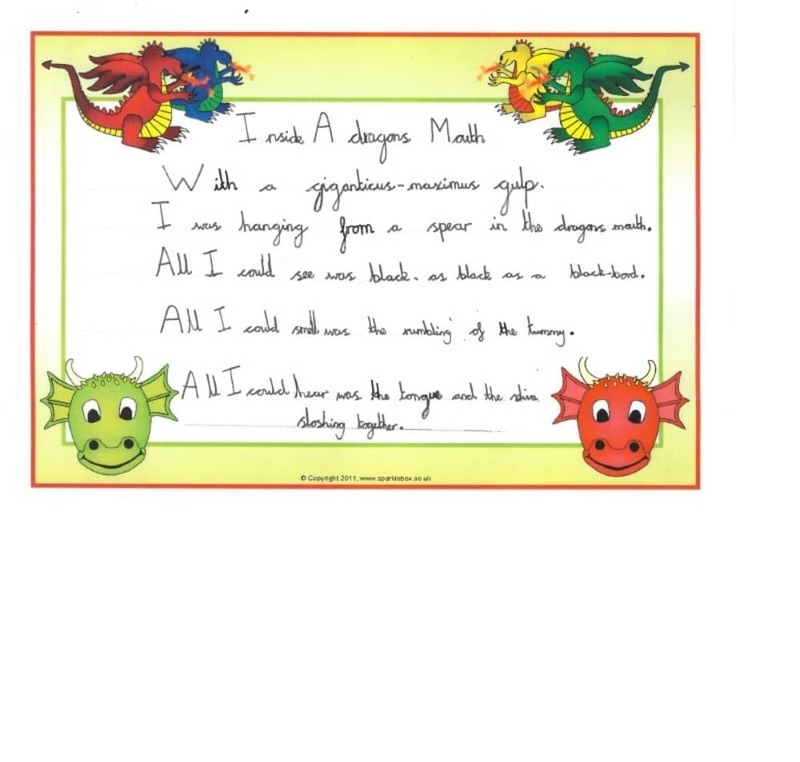 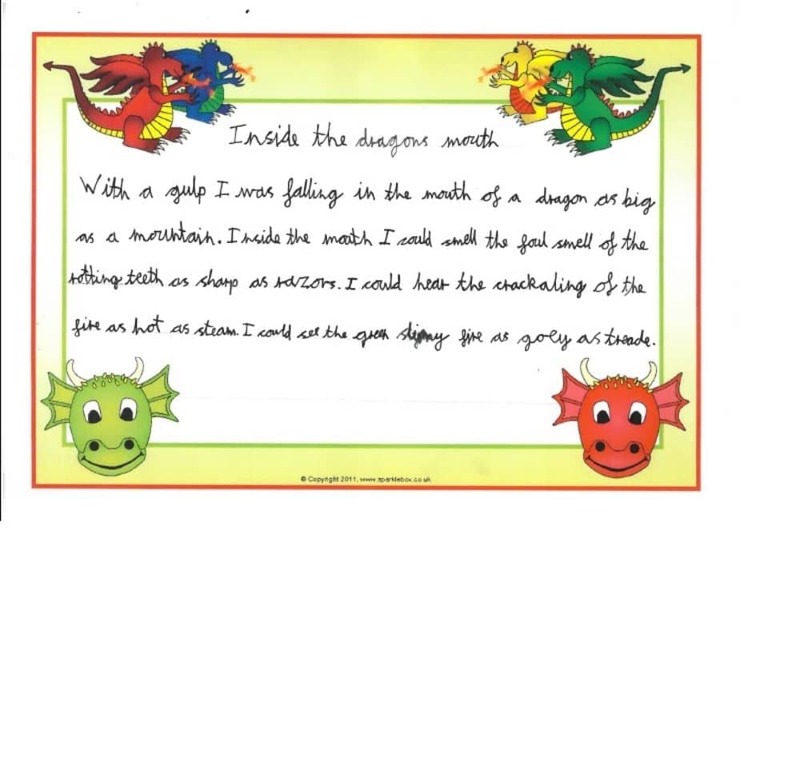 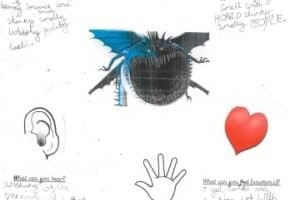 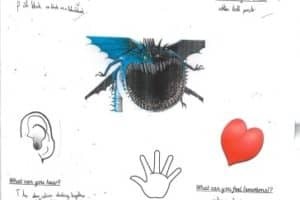 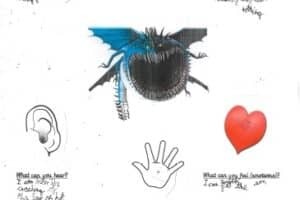 They have done some super English work based around the dragon theme and produced some particularly good descriptions of inside a dragons mouth. 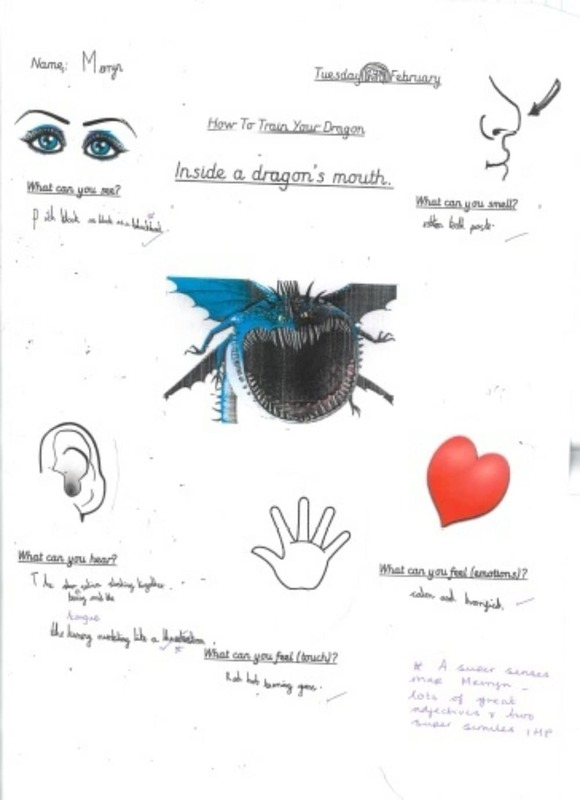 They created a senses map thinking about what you might see, hear, smell, touch and taste if you ended up inside a dragon’s mouth like Toothless did in the story. 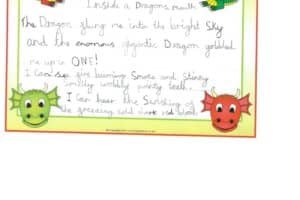 They used adjectives, adverbs and similes to describe what it would be like. 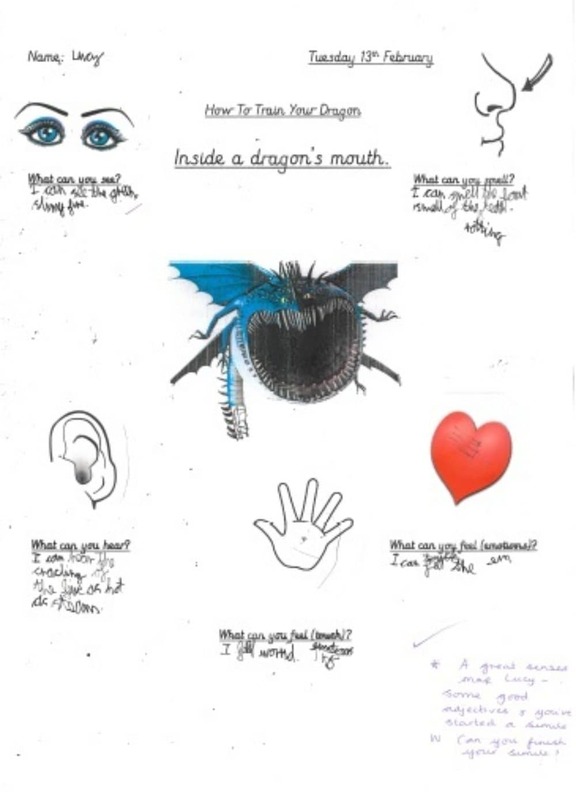 Here are some of the children’s senses maps and finished descriptions. 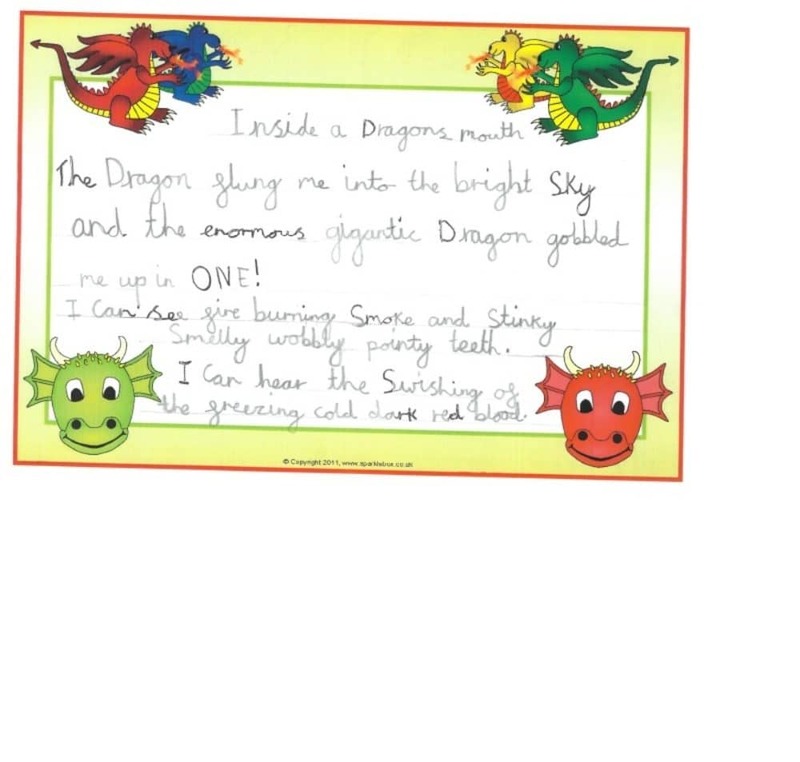 Fantastic writing Year 3, well done!